New to the XSERIES of sticks is going to be Braided Rib Technology (BRT) first seen in TRUE’s SBP lineup. 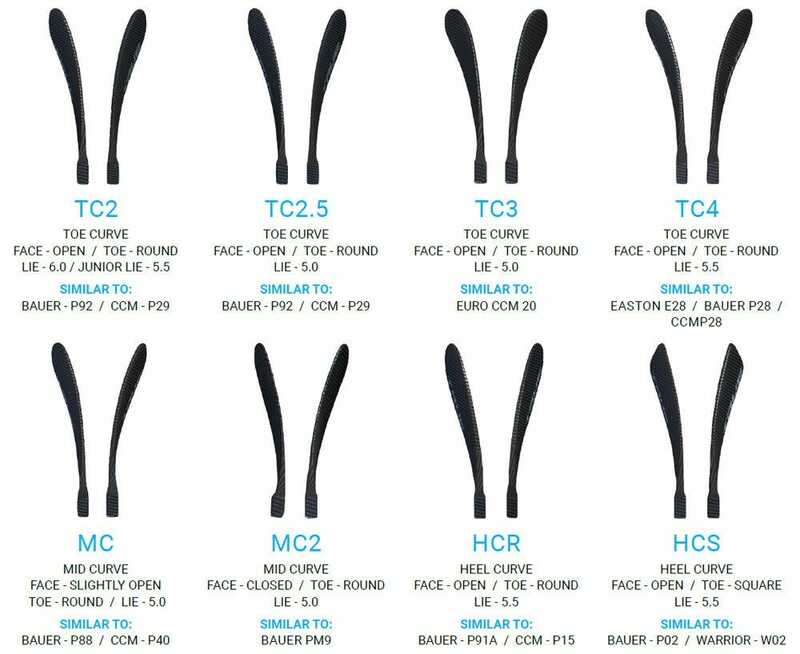 These are seamless braided tubes located at the center and bottom of the blade that act as a dual bridge support for the blade core. This tech helps to produce the longest lasting and most consistent blade TRUE has ever made and is up to 50% stronger than its predecessor! Benefits of this modified BRT blade prevent the foam core from breaking down and losing its stiffness which will provide unmatched accuracy, puck control, and feel. With the same proven technology as the original Xcore stick and new updated blade, the XC9 ACF is TRUE-ly a force to be reckoned with. From elite players to house league players, if you are looking for a stick that will provide (ACF) unmatched accuracy, unmatched puck control, and unmatched feel…TRUE’s XC9 ACF is the way to go! Player Profile Made TRUE for all players looking for a highly responsive stick that will help improve shooting accuracy and puck control. Hey Neil, this could definitely be a solid stick for defensive position, however, True has geared their other SBP 6.0 stick to be more about what you are looking for on D. The XC9 ACF means accuracy-control-feel, traits and qualities forwards are going to be wanting, the SBP means speed-balance-power. Obviously the kind of shots you will be looking for if you are unleashing at the blue line. So the XC9 is a great stick but i would recommend looking into Trues SBP 6.0 stick if you want to base it off position. Love the XCore 9 ACF. SO far the blade is holding up better than the non ACF model which is good! True is the most innovative company out there, and this stick represents them. While others just make the same stick, True had added a eurithane insert to add spin the the puck, and smart flex for a variable shot. Overall a very good stick. True Hockey takes extreme pride in their reputation for excellent quality and value. True Temper Sports' TRUE sticks have a one-time replacement warranty for breakage during normal use within 30 days of purchase. Normal use does not include breakage due to contact with other players, skates, sticks (slashing), boards, nets, use on asphalt or cement surfaces, etc. No replacement will be offered in those cases. True Temper Sports will inspect the returned product and determine if the product damage was caused by normal use and if there is evidence of misuse, tampering, heating, abuse or deception. The customer is responsible for all return shipping costs. Warranty Date: The warranty date is considered effective from the date of receipt for products sold directly to the end user through an authorized True Temper Sports retailer. Return of the Product: To replace a broken product, contact True Temper Sports directly, not HockeyMonkey. Please e-mail warranty@truetemper.com for a return authorization form and number. You will be required to provide the original invoice from HockeyMonkey (order confirmation). Once an RA number is issued, all broken products must be received by True Temper Sports within 14 calendar days. Otherwise, the RA will expire and the warranty return will be revaluated and a new RA will be issued, if eligible. After True Temper Sports has authorized the return, please send your product and RA number via a prepaid, insured, traceable method to ensure a safe and documented delivery.